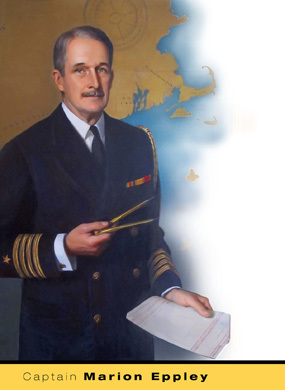 The Eppley Laboratory was founded in Newport, RI by Captain Marion Eppley in 1917 for the purpose of supplying Weston Standard Cells at the request of the Leeds & Northrup Company. It was incorporated shortly thereafter and after World War I, the Standard Cell division continued to grow and Eppley Lab added new products including Thermal Radiation Instrumentation, DC Bridges and Thermopiles. In the 1930’s and 1940’s, Eppley began supplying instrumentation for the measurement of solar irradiance and atmospheric irradiance and by the 1960’s, the most widely used pyranometer for measuring (global) solar radiation was the Eppley 180º “Lightbulb” Pyranometer. In the late 1960’s and early 1970’s, Eppley began producing improved solar instruments based on the wire-wound thermopiles that are still in use today. In the 1980’s, Eppley was involved in several satellite missions designed to determine the Solar Constant outside of the Earth’s atmosphere which then led to the development of the AHF Cavity Radiometer System which is the premier Primary Standard Instrument for measuring solar irradiance. Today, the Standard Cell division no longer exists after being disbanded in the early 1990s due to low market share and government regulations but Eppley continues to be a worldwide leader in manufacturing, calibration and sales of precision Solar Measurement Instrumentation. Eppley supplies its products to National Meteorological Authorities here in the US and in Countries across the globe to collect data to determine long terms meteorological changes, ground truth for satellite weather instrumentation, and scientific studies. Primary government customers in the US include the National Oceanic & Atmospheric Authority (NOAA), the US Department of Energy (US DOE) and the National Renewable Energy Laboratory (NREL). We also sell to many Colleges and Universities with programs involving weather and atmospheric sciences. Throughout its history, The Eppley Laboratory has maintained a close relationship with the world’s Standards Groups. All standard cells and many of the Electric Bridges were supplied to or calibrated with traceabilty to the National Bureau of Standards (NBS) – now known as the National Institute of Standards and Technology (NIST). NIST does not provide the traceability of solar instruments (in fact, Eppley calibrates NIST’s instruments) as the world’s standard is the World Standard Group maintained as the World Radiation Reference WRR. Eppley has supplied several of the radiometers used in the WSG and regularly attends International and National Comparisons.